Cold pressed oil obtained from the seeds of the Salvia Hispanica plant. 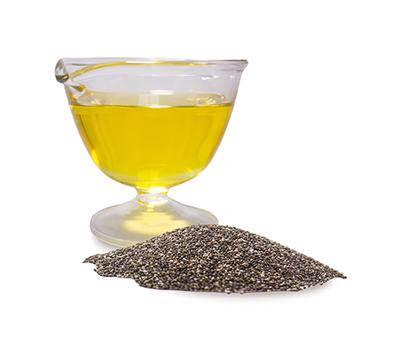 One of the highest contents of alfa-linolenic acid (omega 3) up to 63% among all vegetable oils. It has an ideal balance between Omega 3 and Omega 6 (3 to 1). Due to its slightly nutty flavor it is ideal to be consumed directly or with salads and cooked vegetables. Also it can be used as an ingredient for different blends and dressings. For personal care formulations in anti-aging creams, lotions and emulsions for the skin, liquid soaps, and products for dried and damaged hair.